We started brainstorming for the Indiegogo campaign many months ago, and the Bird Nest Kit was one of the first ideas put on the table. 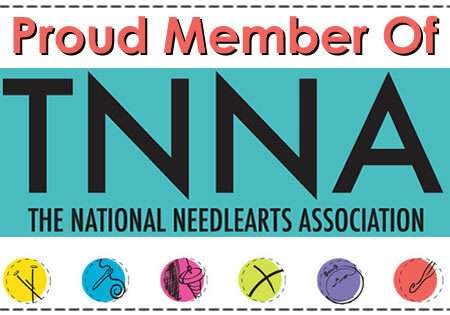 It's not a new idea - Google it and you'll see lots of examples of people offering yarn scraps to birds. But it is certainly one of the best ways to use scraps of yarn that are too small to knit or crochet with. Yarn shown in a suet cage. 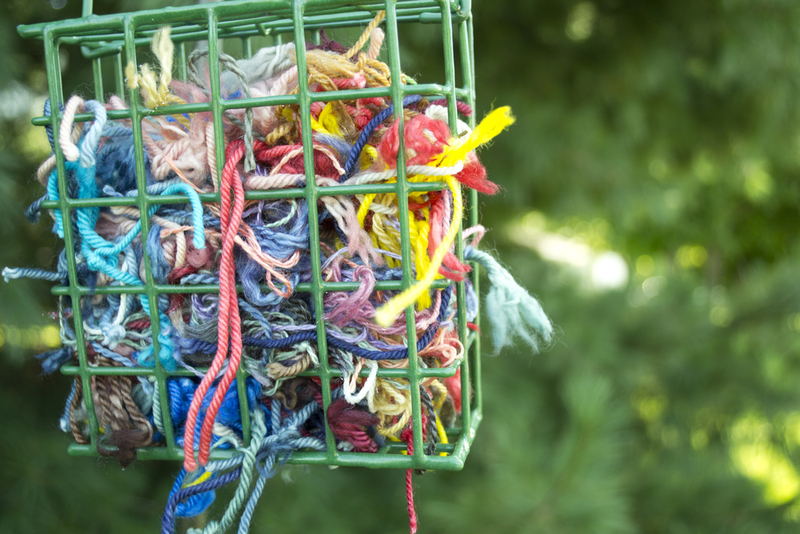 There are plenty of ways you can offer the yarn scraps to the birds in your neighborhood. Shown above is the Bird Nest Kit placed in a clean suet cage, which is available at any store that sells bird feeders. You can also put the yarn in a mesh bag that has holes big enough for the birds to pull the yarn through (like an onion bag), or try a berry basket. If you have a place where the yarn won't blow away, you can also just put it in a pile. The birds will find it. The Cornell Lab of Ornithology has weighed in on the question of whether brightly colored yarns are safe, because they might attract predators. The scientist says that birds can see color, so they'll be aware of the color of the yarn they are choosing. There are plenty of things you can do to help create a haven for birds in your neighborhood - offering nesting materials is just one! You can see more tips from Bird Watcher's Digest, the Cornell Lab of Ornithology, and The Humane Society. Click over to our Indiegogo page to order your Bird Nest Kit!